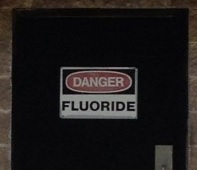 The addition of Fluoride to San Marcos drinking water is expected to stop tomorrow. The Guadalupe-Blanco River Authority (GBRA), will end the practice of adding fluoride to the City of San Marcos Water Treatment Plant, where fluoride levels are expected to drop to natural levels within the next few days. The elimination of added fluoride to the San Marcos water is a result of the approval of proposition 1, which directed the city to stop adding fluoride to the municipal water supply. The proposition was added to the San Marcos ballot after the Fluoride-Free San Marcos Coalition activists turned in a petition with roughly 1,600 voter signatures, enough signatures to force an amendment to the city charter. Originally the City of San Marcos considered the petition invalid, arguing the petition did not meet City guidelines for petition submission. After a lawsuit was filed by the City against 3 individual petition submissioners, the petitioners filed a counter-suit, where Hays County Judge Bruce Boyer ruled in favor of the petitioners, and the City filed a notice of appeal. The case still sits in appeals court.